This year is going way too fast. Christmas is just around the corner and my daughter declared that in 6 months she turns 10. Arrrh. Don't want to think about that just yet! 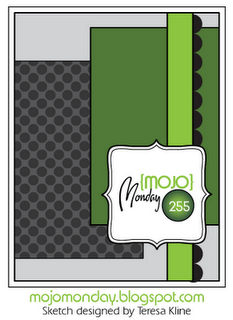 Mojo Monday is a sketch challenge. Visit their page for lost of inspiring card ideas. 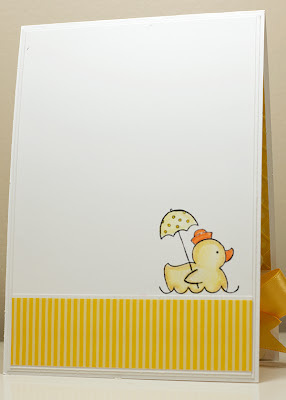 The duck on the front of the card is a nice bright yellow. 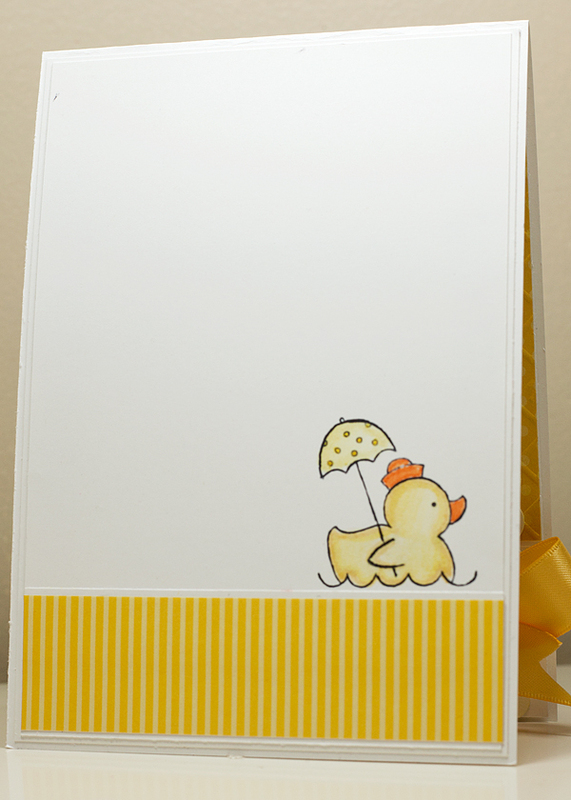 This is because I stamped the image on Daffodil Delight Cardstock and then cut just the duck out. I then used my Daffodil Delight Marker and went around the outside. This makes my duck nice and bright - unlike my duck on the inside. It's hard to get that brightness with just a marker. I just wanted to show you the difference. Accessories: Satin Ribbon, Scallop Edge Border Punch, Simply Scored, Stampin' Markers. Gorgeous as always. Not usually a yellow person but this one is an exception!